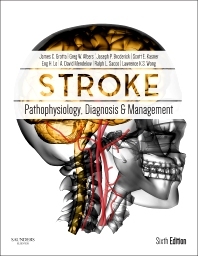 Offered in print, online, and downloadable formats, this updated edition of Stroke: Pathophysiology, Diagnosis, and Management delivers convenient access to the latest research findings and management approaches for cerebrovascular disease. Picking up from where J. P. Mohr and colleagues left off, a new team of editors — Drs. Grotta, Albers, Broderick, Kasner, Lo, Mendelow, Sacco, and Wong — head the sixth edition of this classic text, which is authored by the world’s foremost stroke experts. Comprehensive, expert clinical guidance enables you to recognize the clinical manifestations of stroke, use the latest laboratory and imaging studies to arrive at a diagnosis, and generate an effective medical and surgical treatment plan. Abundant full-color CT images and pathology slides help you make efficient and accurate diagnoses. Director, Stroke Program, Memorial Hermann - Texas Medical Center; Professor of Neurology; Chairman, Department of Neurology, University of Texas Medical School at Houston, Houston, TX, USA. Massachusetts General Hospital, Harvard Medical School, Boston, MA Dr. Lo is currently Head of the Neuroprotection Research Laboratories at Massachusetts General Hospital and Professor of Neuroscience in Harvard Medical School. For over 25 years, Dr. Lo has contributed to research delineating mechanisms of injury and repair in the central nervous system.